Hong Kong is known as a strategic international business hub, and is regarded as the “stepping stone” to the mainland of China. The city is often related as “Tax Heaven”, “Free-trade zone”, “Efficient logistic system”, etc. Many international companies have their presences in Hong Kong for various reasons. 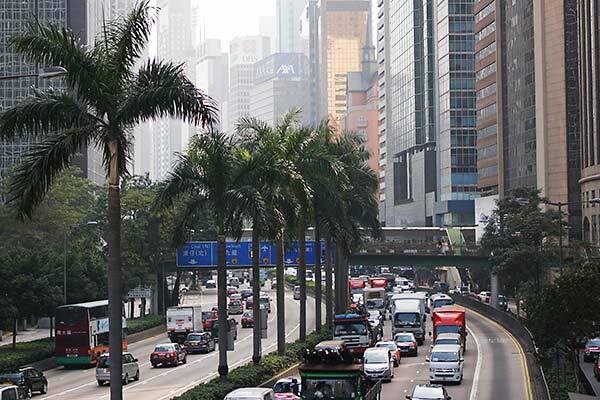 It is no news that Hong Kong has been seen as a key to the China market, especially with its connection to the Pearl River Delta. One should not overlook the business opportunities within Hong Kong. 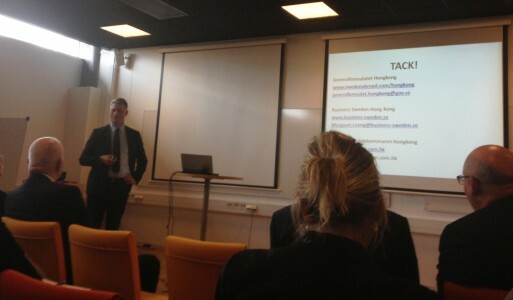 In a seminar organized by the Royal Sweden Business Council on August 21st, some business opportunities in Hong Kong for Swedish companies have been presented. Mr Jörgen Halldin, Sweden Consul General, Hong Kong, has specified three forward focuses with great business opportunities for Swedish companies within the area of Cleantech, Food and beverages, and Design. For example, aligned with the environmental policy in Hong Kong, the government will invest heavily in waste management infrastructure and clean transportation. This will lead to a number of demands in the business fields that Swedish companies are in the world leading positions, such as technologies for waste management and Euro V and Euro IV vehicles and buses. 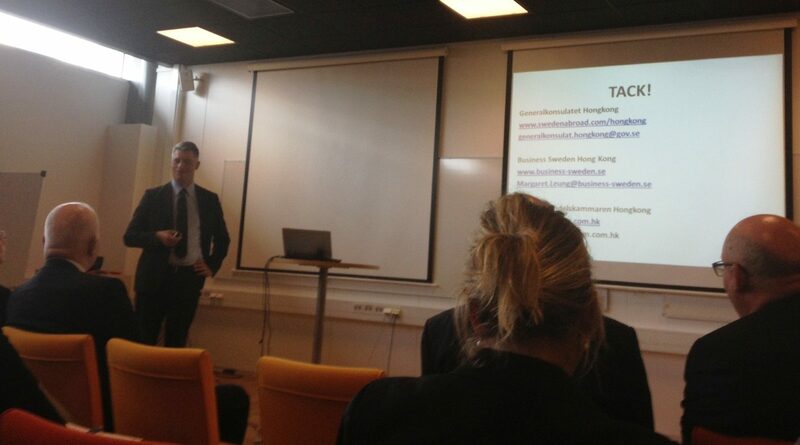 Mr Jörgen Halldin, Sweden Consul General, Hong Kong, has given a presentation about “Hong Kong-Business Opportunities for Swedish Companies”.